Localization is the process you take to adapt your product or content to a specific target market, no matter their language, culture or location. 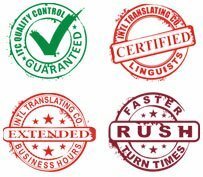 With translation services, localization focuses on adjusting your website or software program into another language while maintaining context and adjusting for cultural nuances. At ITC we have the systems, processes and linguists to ensure high-quality and efficient delivery of technical website and software localizations. Customers know their needs will be met – no matter where in the world they live. For setting a strong presence in competitive international markets, website localization is critical. An easily accessible website is an essential marketing tool. Appropriate language, style and tone are required to communicate with your target audience – clients, customers, or business associates. At ITC, we use advanced technology to help clients adjust their software programs to include multiple languages. This service not only streamlines the process of making a program multilingual, but can also save the client money in leveraging the past translations for new programs, updates, or associated software localization. With localization services from ITC, you get help optimizing your international success.